that's bonkers fast, well done! what tyres are you using to get a 1.71s 60ft ?!? That's a quick time, what engine are you running and is it fwd or rwd? What track was it at? Last edited by miniwade; 14-12-2017 at 10:10 PM. Impressive is that mate, would be a good race between you and me I reckon, you heading to pod at all next year? Other Info: Loads of wheelspin! I went faster on one run (96.73 mph) but it wasn't as quick. 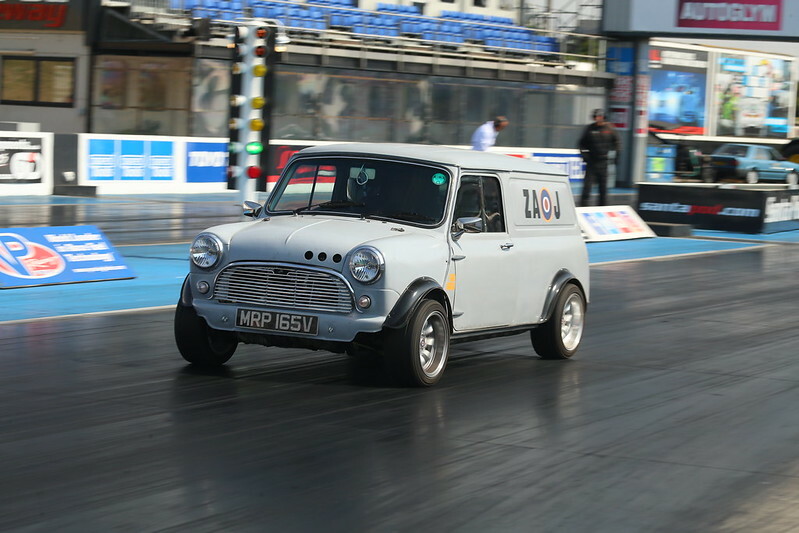 With the recent formation of 1/4 Mile Minis there's a lot of interest in these times and who can grapes the furthest. Is it possible for admin to update these times? It's really for the driver to add their time, we don't compile and keep a list of who is fastest etc. we don't compile and keep a list of who is fastest etc. Have you seen page one of this thread ? a list has been compiled to see who is fastest etc. Is it possible to directly update it? I thought the idea was to submit a time and a slip and then the list/table would be updated. The point I was trying (and obviously failed ) to make was that the list is not being actively kept up to date by the Admins. It was originally being kept up to date by the thread starter Kaison but he hasn't done so since 2014 (you can review the edit history if you so wish). The Admins have never been keeping this up to date. There is nothing to stop someone going through this thread and compiling an up to date list then quoting the first post, adding those details and posting it up. The list can then be updated the same way by each new poster and then reposted to keep it up to date. I suspect however that the appetite to do so is not really there. 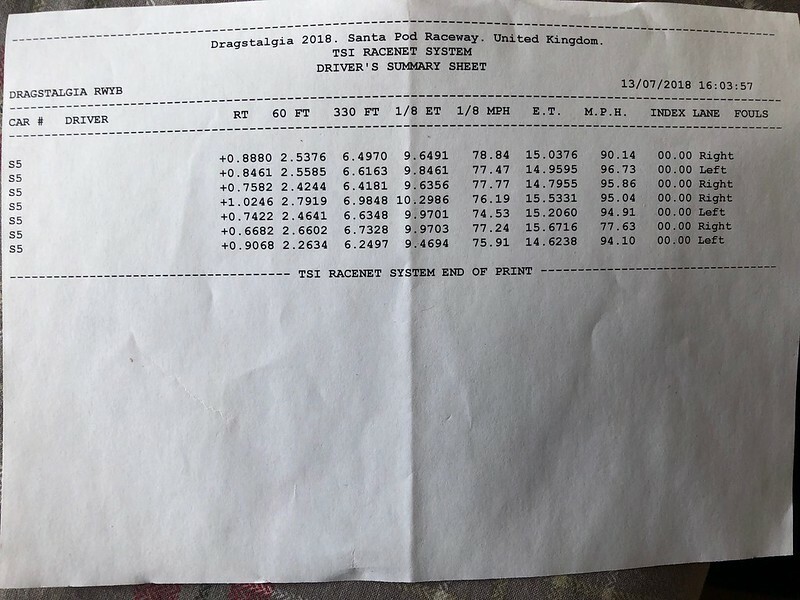 This post has largely moved away from the original purpose of being opened (ie to have an on-going list of the 1/4 mile times) and people are now just posting up their slips as and when they get a PB. It's not really the Admins job to play secretary.